BuzzBuzzHome recently reported on a longstanding truism about the Hudson River: the water is dirty. 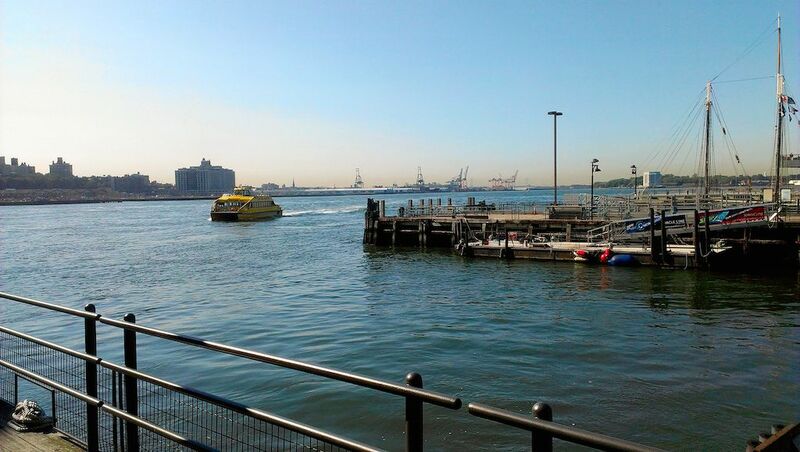 In July, half of Hudson Riverkeeper’s tested sites failed Safe Swimming Guidelines. DEP maintains 70 sampling stations through the harbor, and conducts weekly sampling from May through September and monthly from October through April. The department is able to get real time measurements of salinity, light penetration, temperature, dissolved oxygen, PH, chlorophyll and water clarity. Debris coming mainly from street litter ends up in the City’s storm drains (catch basins) and sewers. It’s then carried to the harbor. Thirty thousand catch basins are periodically inspected, electronically mapped and cleaned. Booms (floating barriers) are placed at 24 locations to help catch debris and skimmer vessels routinely remove floatables. The DEP operates 14 sewage treatment plants, treating around 1.3 billion gallons of sewage every day. Its fleet of boats monitors the waters and shoreline for sources of pollution, to improve response time when there are issues. Over the last 10 years, the city has committed more than $10 billion on infrastructure to improve the quality of water, including new access points, boats and technology. The Department of City Planning’s Vision 2020: New York City Comprehensive Waterfront Plan was implemented in 2011 and includes sweeping reforms in estuary restoration, waterfront zoning and revitalization.